It's October and that means it's time for our annual tabletop event. 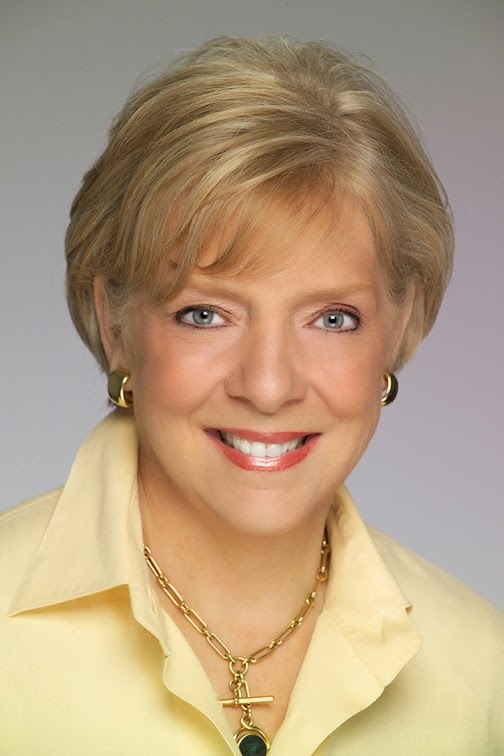 We've have a whole array of events coming up with the highlight a visit from Vietri founder and CEO, Susan Gravely. can be signed by Susan and inscribed with special Italian phrases. We're also offering a gift with purchase for those who buy Vietri items leading up to and at the event. Guests who spend $100 will receive a Vietri Old St. Nick cork stopper and those who spend $200 or more will receive a Vietri canapé plate in the Renna or Old St. Nick pattern in addition to the cork stopper. As a special bonus one lucky attendee will receive a signed Vietri Lastra Red Tavern pitcher. Any customer who's already bought Vietri since August 15 is automatically entered. Anyone attending the event can fill out an entry blank for a chance to win. Come celebrate in the tradition of All Things Italian! Next up is our annual Le Jacquard Francais trunkshow and sample sale. 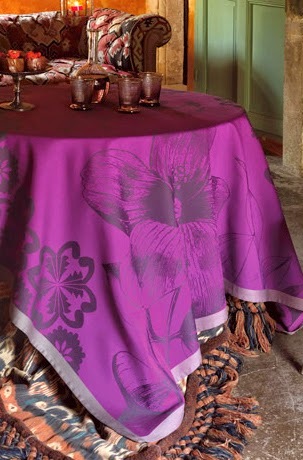 We have over 100 tablecloths and runners from renowned manufacturer Le Jacquard Francais, all at 30% off. Many of these styles are no longer available in the United States and once they're sold they gone for good. Stop in early for the best selection. Quite a few have already been snapped up by savvy collectors. Lastly we have our annual dinnerware stock-up program. 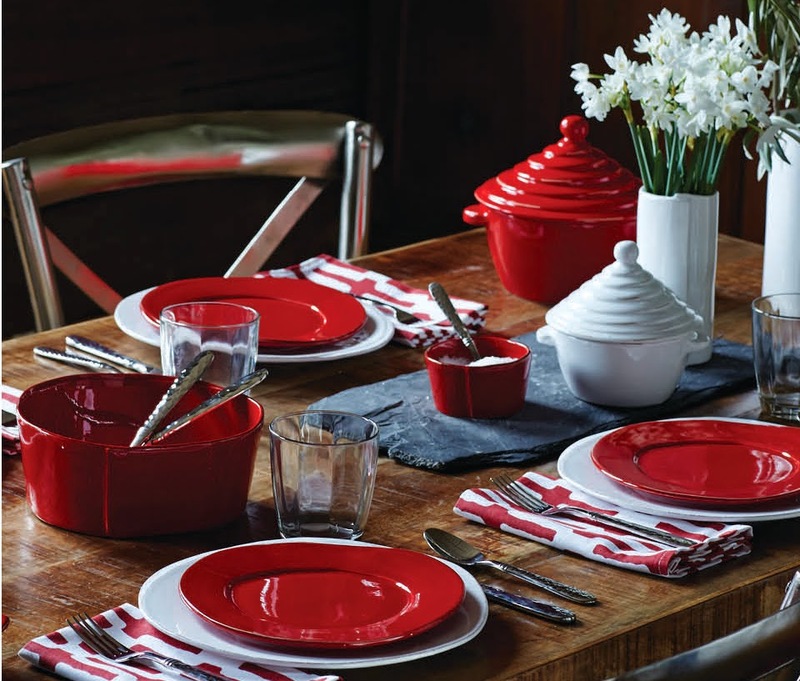 For a limited time we're offering discounts on all our ceramic dinnerware lines. 10% off 4 matching pieces, 15% off 8 matching pieces, and 20% off 12 matching pieces. Any serving pieces bought at the same time qualify for the same discount level. This is a great time to complete your existing sets or get something brand new for the holidays. Special orders are included in this offer. 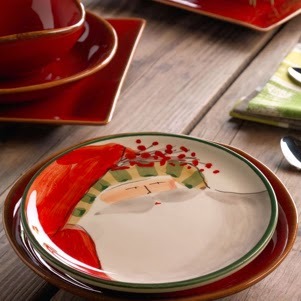 Due to our relationship with our dinnerware manufacturers we aren't allowed to offer this special online. Click here to shop online. There you will find the codes to get these great discounts. Or if you'd prefer, just give us a call at the store and we can take care of everything over the phone.